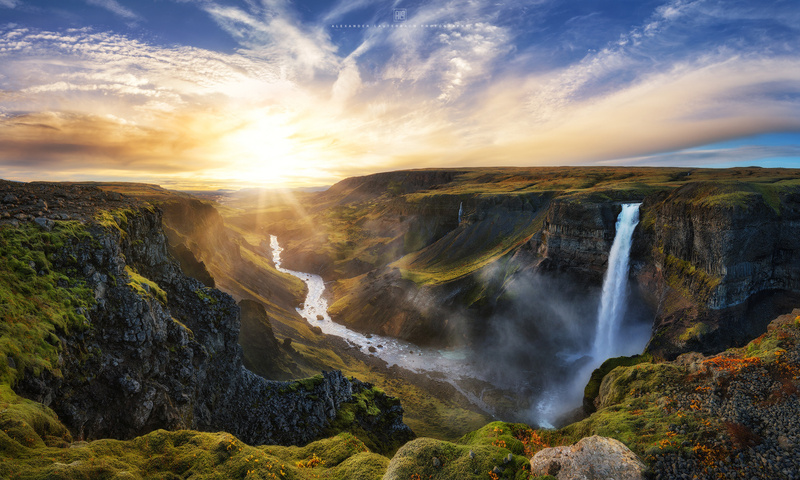 The Fossardalur valley and it's waterfall Háifoss with a length of 122 meters. Definitely one of the best places I’ve visited during my trip to Iceland and the one I was looking forward for long time. I'm really happy that I was able to capture this moment during perfect weather conditions. Beautiful photograph. The moss and lichens in the foreground are sharp and the weather was definitely in your favor. Lovely! Beautiful capture, timing, drama, colors, processing... love everything about it! !